Congressman Chris Smith (R-NJ) today announced the introduction of a bill he wrote to combat Lyme disease. 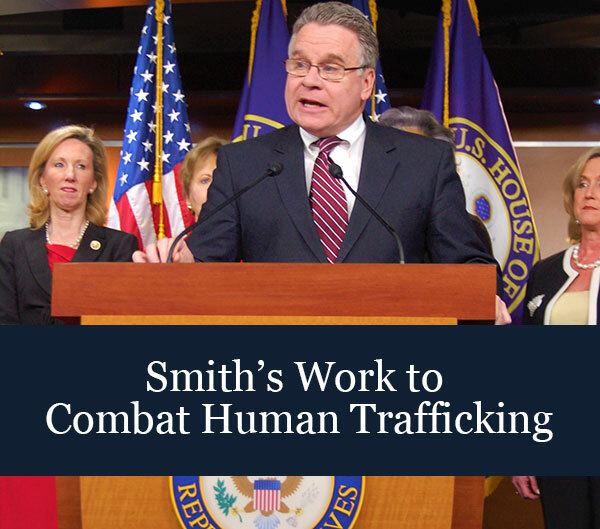 Smith is the sponsor of the measure, H.R. 2557, which would support federal efforts concerning Lyme and other tick-borne diseases through the establishment of a Tick-Borne Diseases Advisory Committee. Smith co-chairs the House Lyme Disease Caucus, along with Frank Wolf (R-VA) and Tim Holden (D-PA), who are both cosponsors of the bill. The Tick-Borne Diseases Advisory Committee would ensure coordination and communication among many federal agencies, a broad range of medical professionals, and patients. The bill requires the Secretary of Health and Human Services to establish the advisory committee to advise the Secretary and the Assistant Secretary for Health on Lyme disease activities. The Committee would meet at least twice a year, and submit, through the Director of the Centers for Disease Control and Prevention and the Director of the National Institutes of Health, an annual report of the Committee’s functions to the Secretary. While Lyme accounts for 90 percent of tick-borne diseases in the U.S., the same tick species spreads other diseases, such as anaplasmosis and babesiosis. Other tick species spread diseases, such as Rocky Mountain spotted fever and southern tick-associated illness. Smith’s own state of New Jersey has high prevalence rates. The Lyme Disease Association (LDA), is headquartered in Jackson Township, Ocean County N.J. in Smith’s district. Other regions are also hit hard, including Virginia, New York, Pennsylvania, Connecticut and other states. Gibson is also an original co-sponsor of the bill. The Centers for Disease Control & Prevention (CDC) estimates that only 10 percent of Lyme cases may be reported. Lyme disease can lead to chronic illness and can affect every system in the body, including the central nervous system. Advanced symptoms include arthritis of weight-bearing joints, neurological and cardiac problems, encephalopathy and memory problems. The CDC has determined that from 1992 to 2006, the incidence of Lyme disease was highest among children aged 5 to 14 years of age.